When people feel welcomed into a community, great things often happen that benefit the receiving community and even the nation. When newcomers feel accepted and included in a society, it provides them the best shot at harnessing talents they may have otherwise been unable to recognize or pursue. 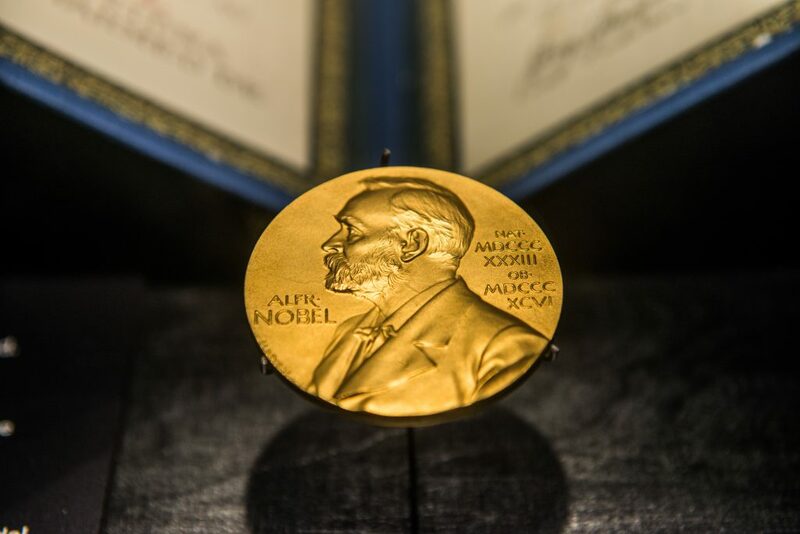 This has been the case year after year with the Nobel Prize—many are awarded to immigrants and refugees who were given the opportunity to flourish in their new home. The result has been some of the greatest achievements in history, science, literature, and towards peace. The 2018 Nobel Prize winners are no exception. One of the recipients is a refugee who was able to move from Iraq to Germany through a country-sponsored refugee program. Two other winners—a physicist and economist—are first- and second-generation Americans whose families immigrated to the United States through family-based migration channels. Iraqi Yazidi human rights activist Nadia Murad was awarded the Nobel Peace Prize for her work to “end the use of sexual violence as a weapon of war and armed conflict.” Murad may have been unable to pursue these efforts if she had not been accepted into a German refugee program after fleeing Iraq. At 19-years-old, Murad was kidnapped and held captive by members of the Islamic State for three months. She was one of nearly 7,000 Yazidi women taken and forced into slavery by the Islamic State in 2014 alone. After escaping and seeking protection in Germany, Murad has dedicated her life to helping women and children who are the victims of human trafficking, mass atrocities, and genocide reconstruct their lives and communities. This year’s Nobel Prize in Physics was awarded to Arthur Ashkin, the son of immigrants. Ashkin’s parents immigrated to the United States from what is now Ukraine, and within a decade of their arrival, were operating a successful dental laboratory in New York. Had his family been unwelcome after immigrating to the United States, there is no telling whether Ashkin’s trajectory would have led him to become a world-renowned scientist. Ashkin won the Nobel Prize in Physics for inventing “optical tweezers,” focused lasers which are used to hold atoms and study their insides. The lasers can even be used to manipulate atoms on the molecular level. Economist William Nordhaus is a second-generation American whose family immigrated from Germany near the turn of the 20th century. Both his immigrant grandfather and American-born father went on to found successful businesses in the United States. Nordhaus won the Nobel Prize for his contributions to the climate change field. He developed two assessment models that calculate the relationship between economics, energy use, and climate change. His models have been used to predict how climate change will likely affect certain sectors of the economy that are primarily powered by rain, temperature, and other ecosystems. These Nobel Prize winners serve as a reminder that when countries welcome—and not reject—the foreign-born, everyone benefits. To turn them away would be to miss out on some of the greatest achievements individuals have to offer.